BOULDER, Colorado, U.S. — This month, an international team of scientists will head to the remote Southern Ocean with a ZephIR 300 wind lidar providing the project’s remote wind measurements on-board the R/V Investigator, an Australian deep-ocean research vessel. The U.S. portion of the project is funded by the National Science Foundation (NSF). The team’s discoveries will be used to improve climate models, which routinely underestimate the amount of solar radiation reflected back into space by clouds in the region. Accurately simulating the amount of radiation that is absorbed or reflected on Earth is key to calculating how much the globe is warming. The field campaign, called the Southern Ocean Clouds, Radiation, Aerosol Transport Experimental Study, or SOCRATES, could also help scientists understand the very nature of how clouds interact with aerosols — particles suspended in the atmosphere that can be from either natural or human-made sources. Aerosols can spur cloud formation, change cloud structure, and affect precipitation, all of which affect the amount of solar radiation that is reflected. 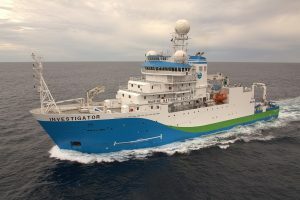 During the mission, which will run from mid-January through February, the scientists will utilise data from a collection of advanced instruments packed on-board a research aircraft that is owned by the NSF and operated by the National Center for Atmospheric Research (NCAR) and a research vessel that is operated by the Australia’s Commonwealth Scientific and Industrial Research Organisation (CSIRO). The vessel-installed ZephIR 300 wind lidar will provide advanced wind measurements from 10 to 200 metres above the deck of the research vessel. “Much of what we currently know about Southern Ocean cloud, aerosol, and precipitation properties comes from satellite-based estimates, which are uncertain and have undergone few comparisons against independent data,” said co-investigator Roger Marchand, a scientist at the University of Washington. “Observations from the ship will help us understand the background state of the atmosphere — how it’s behaving” said National Center for Atmospheric Research scientist Bill Brown, who travelled to Australia in late November to prepare for the voyage. The ship will be deployed for the entire six weeks and will face its own challenges, notably the notorious roughness of the Southern Ocean, sometimes called the stormiest place on Earth. “There are no land masses to break up the winds down there” Brown said. 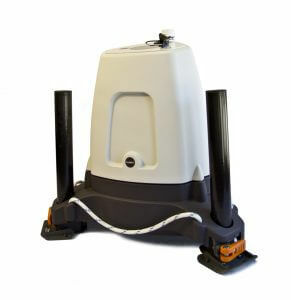 So the ocean can be quite rough.” The ZephIR 300 wind lidar is the industry-standard Lidar offshore and is very experienced in handling the conditions expected to be encountered on the project.